The following videos provide a step-by-step configuration tutorial for setting up Kerberos-based single sign-on for AS ABAP and AS Java. 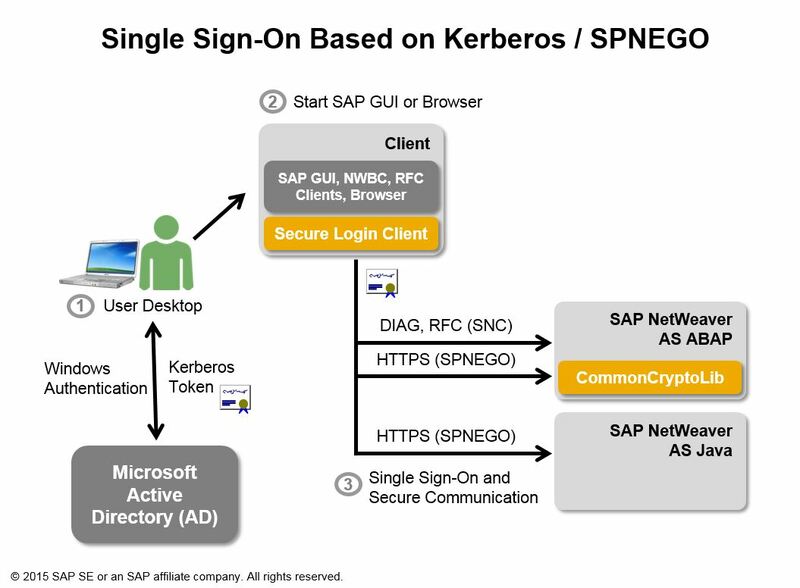 The video guides you step-by-step through the tasks required for setting up Secure Network Communication (SNC) and configuring SSO based on Kerberos/SPNEGO on the ABAP backend. Learn how easy this is using the SNC Wizard and Kerberos transaction. One configuration task required for Kerberos-based SSO is user mapping. You need to map the SNC user name (based on the Windows domain user name) to the SAP ABAP user name. But how to configure user mapping for thousands of users? The video guides you through the options available for mass user mapping in Application Server ABAP. The video guides you step-by-step through the tasks required for configuring SSO based on Kerberos/SPNEGO in the Application Server Java.